How to email overdue notices. Question/Topic: How to email overdue notices? How to email overdue notices? Click Email Overdue (3) button. Verify the message header, body, and borrowers list in the Send Email - Overdue Notices (4) window. 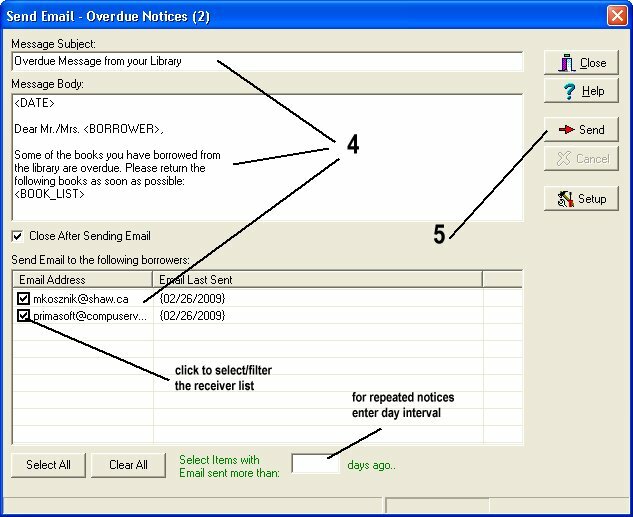 Click Send (5) to email overdue notices. Message Body template file (lib.txt).